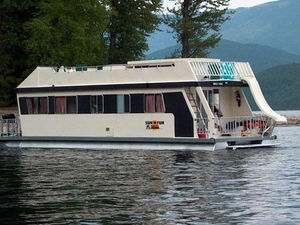 This houseboat is an excellent sized boat for the smaller group who want to enjoy house boating to its fullest but on a smaller level. 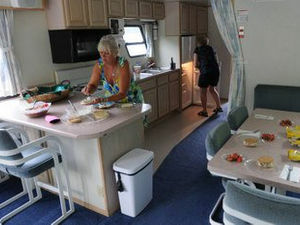 Featuring comfortable sleeping on double beds plus a living room double pull-out and a kitchen table convertible to double bed. 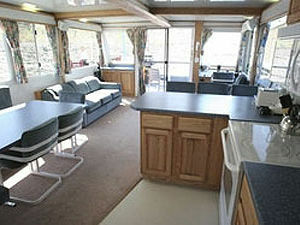 It also has a microwave, stove with oven, electric fridge, TV/DVD, 110 power, hot tub and slide. 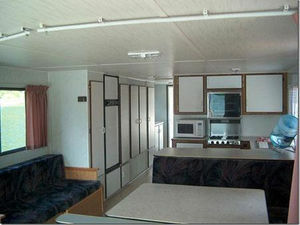 Sleeps up to 8 persons.